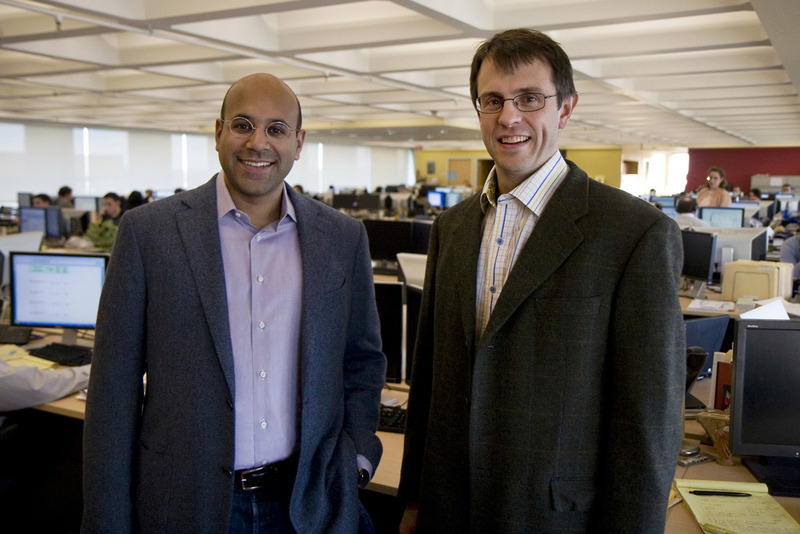 Niraj Shah & Steven Conine, co-founders of Wayfair (FKA CSN Stores) gave the Boston startup community an inside look into how a $500+ million home goods online retailer was born. Niraj hit the nail on the head when he said that “Boston has a lot more going on than you would think, there are not enough self-promoters.” FD VI told the story of these modest founders by showcasing Wayfair, whose success is anything but modest. We feel incredibly fortunate to have all these incredible founders join us for the Founder Dialogues event series. We extend our gratitude to Niraj and Steve for sharing their story with us. As always, thanks to returning and new participants. We will be announcing the next speaker for the new year soon so stay tuned. Please enjoy a video and photographs capturing the event. A special thanks to Tyler Magnin, VisibleGains and VentureFizz for producing the video of this event. Dale Davidson kindly volunteered his time to capture the moments and photograph. Also, a big thank you to Microsoft for providing the space for Founder Dialogues. Founder Collective is thrilled to announce Founder Dialogues VI on November 8, 2011 at the Microsoft New England R&D Center from 6pm – 8pm. We’ll be kicking off Fall with both Wayfair (FKA CSN Stores) co-founders, Niraj Shah & Steven Conine, of the $500+ million home goods online retailer. Come join us to learn about how Niraj & Steve bootstrapped the second largest online housewares and home furnishings retailer in the US today with over 3 million items from 5,000 brands and until this year had no venture capital investors. Wayfair employs over 800 people in the US, Canada, Germany, UK, Ireland, and Australia, and goes to market using a number of brands including Wayfair.com, All Modern, Joss & Main. This will mark the first time that Founder Dialogues invites two founders to speak candidly of their path to success. Moderator Eric Paley sees this as a unique opportunity to dive into the important co-founder relationship that is crucial to building a company. Prior to Wayfair, Niraj and Steve co-founded Simplify Mobile, an enterprise software company focused on mobile device management, which was sold to Tangoe, and Spinners, an Internet consultancy, which was sold to iXL. At iXL, Niraj was the COO and a board member, and Steve ran the operations in the United Kingdom. We look forward to hearing Niraj and Steve’s story and believe it will continue our series of inspiring Boston entrepreneurial success stories from home.